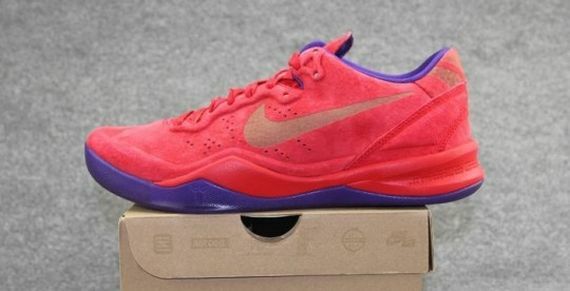 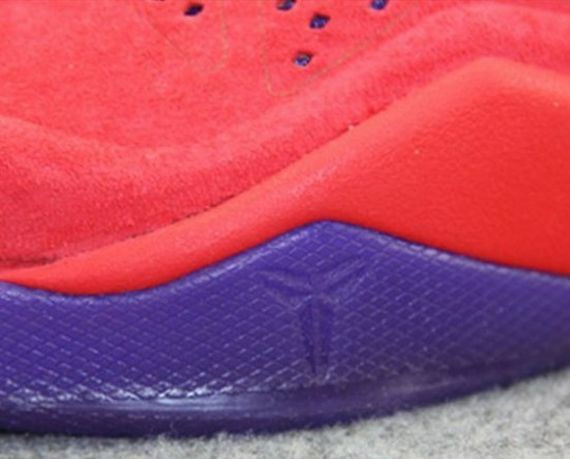 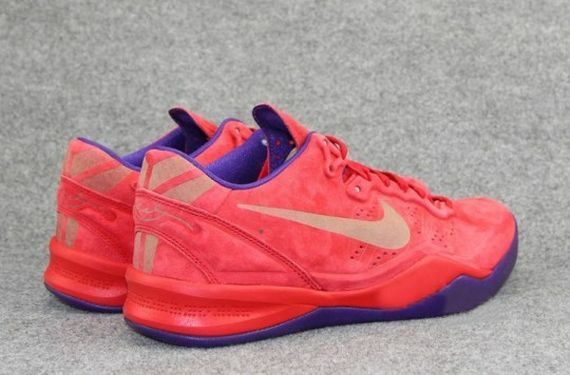 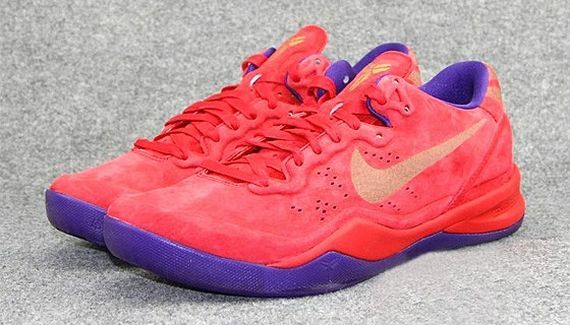 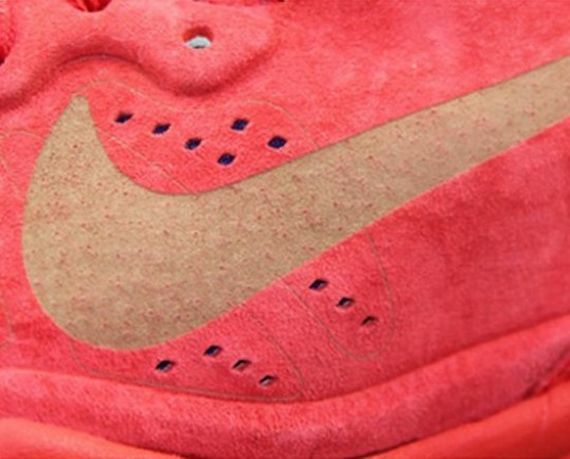 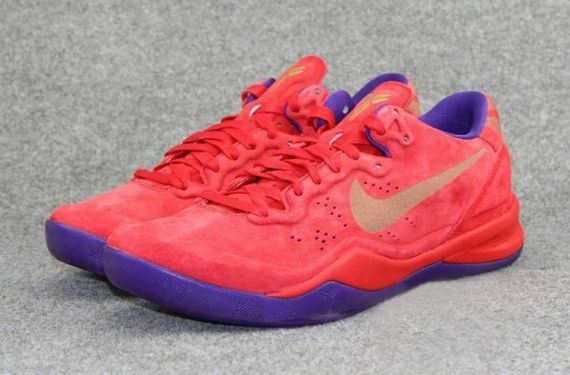 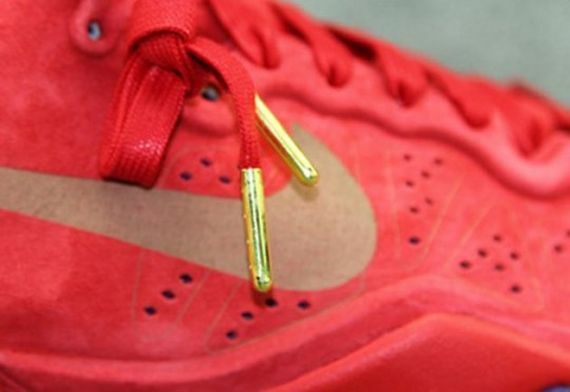 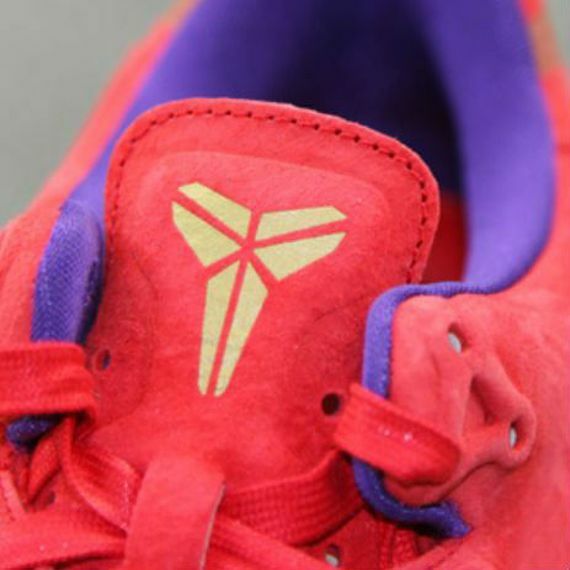 Nike Zoom Kobe 8 EXT - "Year of the Snake"
The Year Of the Snake Nike Collection was unveiled this morning and amongst the footwear lineup shown we got a look at the Nike Zoom Kobe EXT. 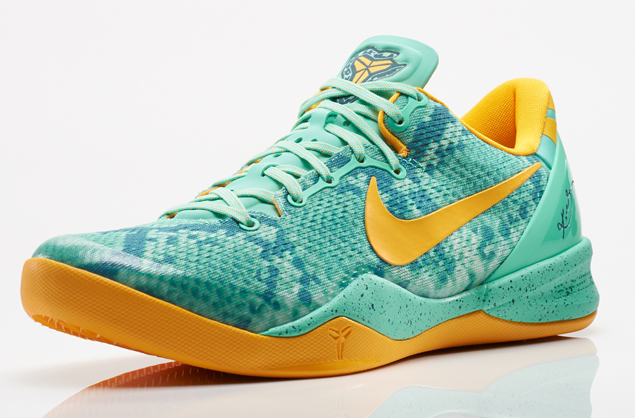 The off the court version of the Kobe 8 swaps out EM for Vac-Tech in order to provide a more comfort driven ride. 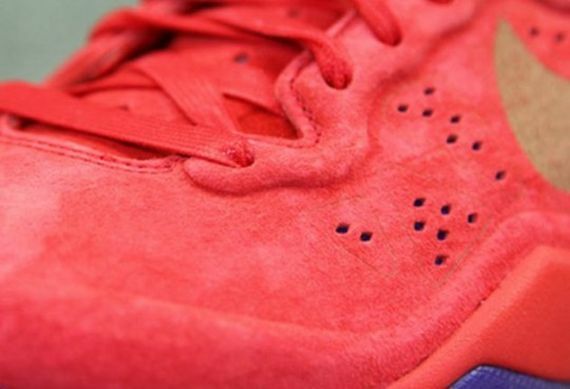 The upper consists of a red suede one piece design that features laser etching to provide a sleek look. 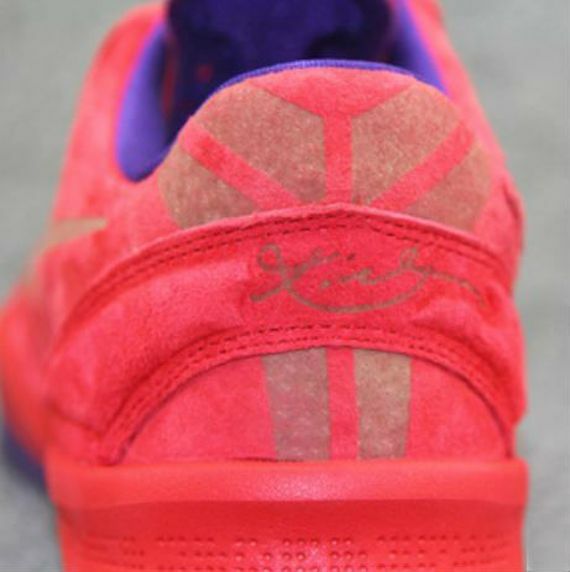 The outsole and liner are fitted with a royal purple and the lace tips, Swoosh and heel logo all get a gold finish to add to this celebratory piece. 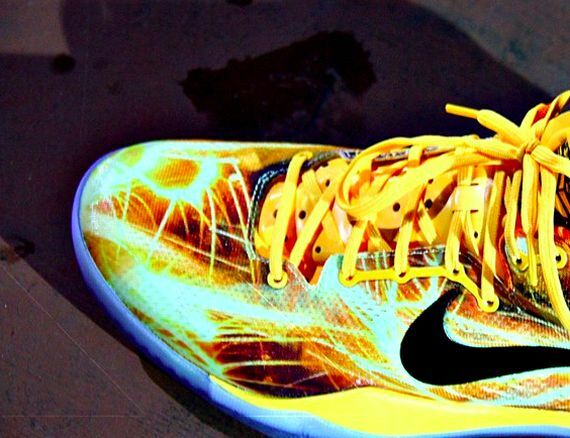 Keep checking back at Modern Notoriety for more info on these, but in the meantime check out the photos and let us know what you think.